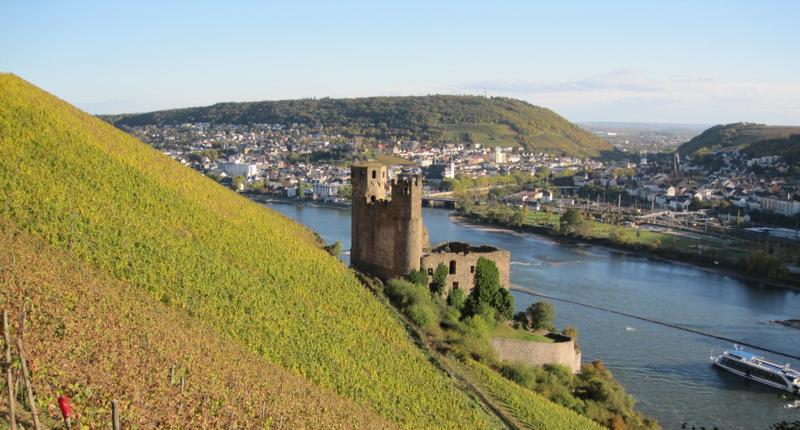 Single location in the municipality Rüdesheim am Rüdesheim mountain in the German growing area Rheingau, The name refers to the castle built in 1211 Ehrenfels; the vineyards were laid out at about the same time. These were for a long time in the possession of the Kurmainzer rule. The ruin of the castle, which was destroyed in 1689, offers, after a laborious climb through the steep terraces, a unique vantage point on the bend in the Rhine called "Binger Loch". From here, the four growing areas Middle Rhine, Nahe, Rheingau and Rheinhessen in view. The previously extremely narrow and steep terraces were to be managed by the end of the 1960s only in laborious manual labor. In the years 1970 to 1985 was a Land Consolidation, which created driveways and created larger areas between spacious terrace walls. This page was last modified at 3 March 2019 at 12:48.